Today's Image of Mars is further evidence that great seas of water once covered the surface of Mars. What you see was once a flat surface that broke apart; the surface was most likely a freezing mudflow. The pieces of that flat surface began flowing apart on top of slushy material. When the slushy material eventually froze it would have expanded and forced its way up between broken, drifting pieces. That is why you see the raised ridges that resemble channels. 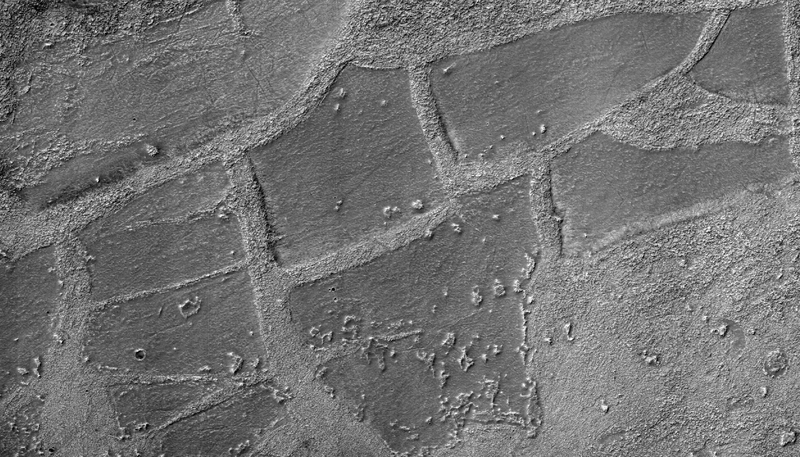 This image links to the captioned HiRISE image that is a subimage of this one. It's a lot more colored and will let you see one of these ridges up close.